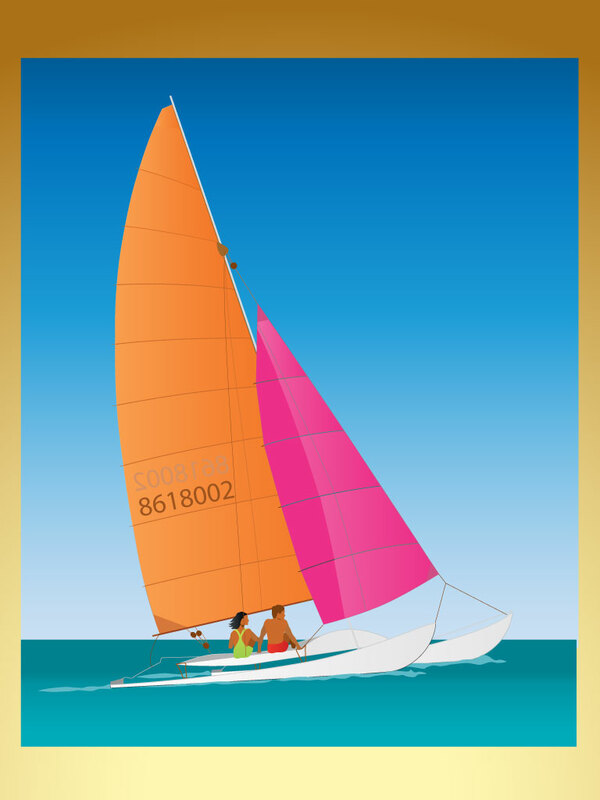 Download free vector artwork of catamaran sail boat on the ocean. Features bright pink and orange sails on a blue summer background. A perfect outdoors and water sports background or wallpaper. Tags: Boat, Lake, Ocean, Outdoor, Sail, Spring, Summer, Water.